Red Delicious Life: 1st Quilt Block - Done! Not 24 hours after deciding to participate in the Accuracy Quilt-Along, I have my first block done. I saw that the finished measurements were 15.5" x 16.5, but seeing it done - wow, it's a big block! Mine is a bit off in measurement, less than an 1/8th of an inch so I'm hoping it will still fit with the other blocks to come. After all this QAL is all about accuracy! 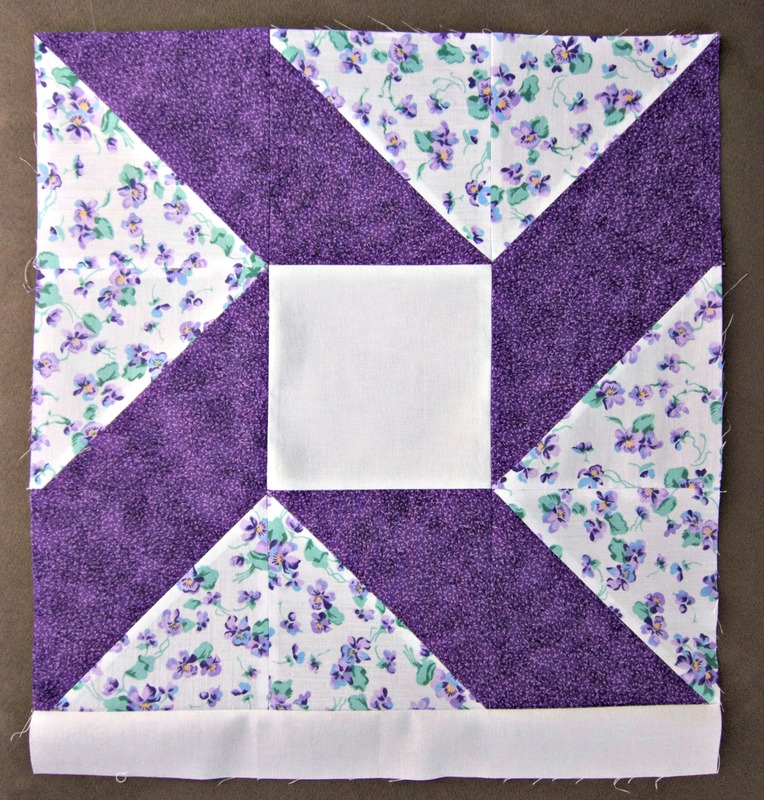 I'm pressing all of my seams open for this quilt so that is new to me. I learned to always press seams to one side but there were some interesting articles about how pressing seams open may improve accuracy so that's why I'm trying it. We'll see. Now to start figuring out my fabric choices of block 2.